Editor’s note: This post is from a new contributor, Mark E. Ricardo, who is the author of Simply Burgundy: A Practical Guide to Understanding the Wines of Burgundy and the founder of Trellis Fine Wine Investments, LLC, a boutique fine wine investment and consulting firm. He also is the former wine and food columnist for the Washington Theater Review and an avid collector of fine wine. Have you ever wanted to try the best white wines of Burgundy? You know, the big boy grand crus from Le Montrachet, Chevalier-Montrachet, Bátard-Montrachet, Bienvenues-Bátard-Montrachet and Criots Bátard-Montrachet but just couldn’t, or didn’t want to pay the sky-high prices that these wines demand? Well, you just might be able to have your cake and eat it too by looking for wines from the following “hidden gem” vineyards which are located near the cluster of prestigious grand crus in the communes of Puligny-Montrachet and Chassagne-Montrachet. Wines from these relatively unknown vineyards tend to exhibit characteristics of their grand cru neighbors but at a lower price. 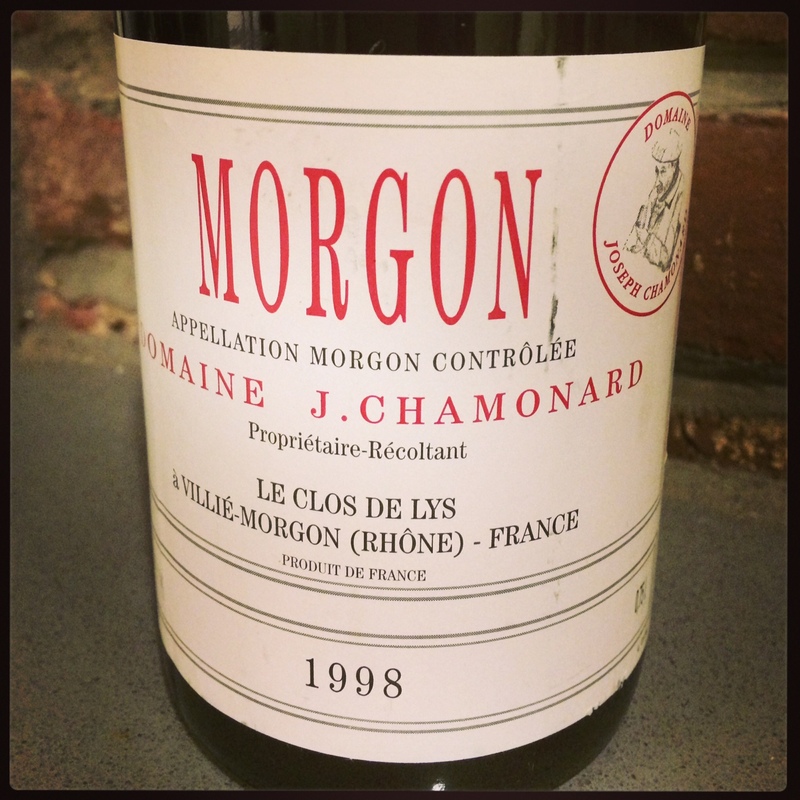 1998 Domaine J. Chamonard Morgon Le Clos de Lys. Gracefully aged Beaujolais. I adore Beaujolais. It has elegance, freshness, purity of fruit, and invigorating acidity, all with a slight touch of earthiness. When served slightly chilled, a glass of Beaujolais makes the perfect companion to a summer meal. It’s sippable and gulpable. Among the wine press, it’s not unusual to find praises for Beaujolais and recently even for aged Beaujolais. In July’s Grape Collective article, David wrote that Beaujolais was one of the greatest secrets in wine. In the FT’s “Aged Beaujolais,” Jancis wrote that leading producers in the region were making “serious wine” and that Bojo, has been seriously underpriced for years. Given my adoration for younger Beaujolais, I have been curious about older vintages and whether they can be as alluring at similarly great values. To test this, I first attended a vertical seminar at David Bouley Test Kitchen with Georges Dubouef, which included the newly released 2013′s, as well as wines going back to the 2005 & 2009 vintages. The good news was that the younger Cru wines represented fantastic values and provided all the liveliness and freshness that you’d expect. They were friendly, pleasurable pours. With most selling below $25 SRP, these wines are reliably good buys. The Georges Duboeuf Morgon Jean E. Descombes 2013 was perfumed with violets and juicy raspberry. The 2013 Julienas Chateau des Capitans was racy with deeper blue fruit and spice. The Moulin-a-Vent 2013 was reminiscent of mint, tea, and licorice. The bad news is that I was disappointed by the older vintages. Expectedly, they’d lost the fruit and vigor of the younger examples, but sadly there was nothing left to replace it. I found the wines were one-dimensional and tired, even at just four or five years old. However, while some examples of Beaujolais should (in my opinion) be consumed within a couple years, this certainly isn’t a blanket rule. 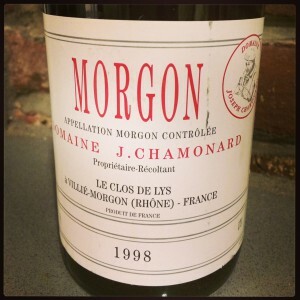 I recently picked up a 1998 Domaine J. Chamonard Morgon Le Clos de Lys from Frankly Wines in Tribeca. At $50/bottle, it isn’t cheap, but it was what I’d hoped to find in an older gamay. Texturally light, but with depth; structured with layers of dried herbs, earth, and spice. The ’98 vintage can also be found at Gramercy Tavern and sells for $95, which isn’t bad for a well-made, 16 year old wine. Learning about Italian wine is really hard. I frequently find myself at Italian wine bars or restaurants with friends, who are all looking at me to pick out a wine. Meanwhile, I look at the menu and curse/pray/beg for help. So, I take every chance I get to taste more Italian wines, especially when the tasting includes mysterious indigenous grapes. 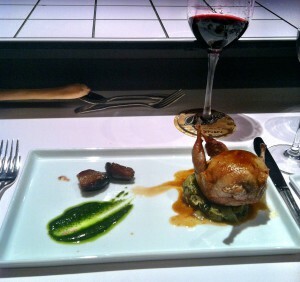 To that end, I recently attended the Italian Culinary Experience here in NYC. The Italian Culinary Experience is a delectable series of events, each of which highlights a different region of Italy, its wines, and carefully paired dishes from a restaurant partner. The concept, launched by the Italian powerhouse Zonin, started in Miami and has now been repeated three times in New York. 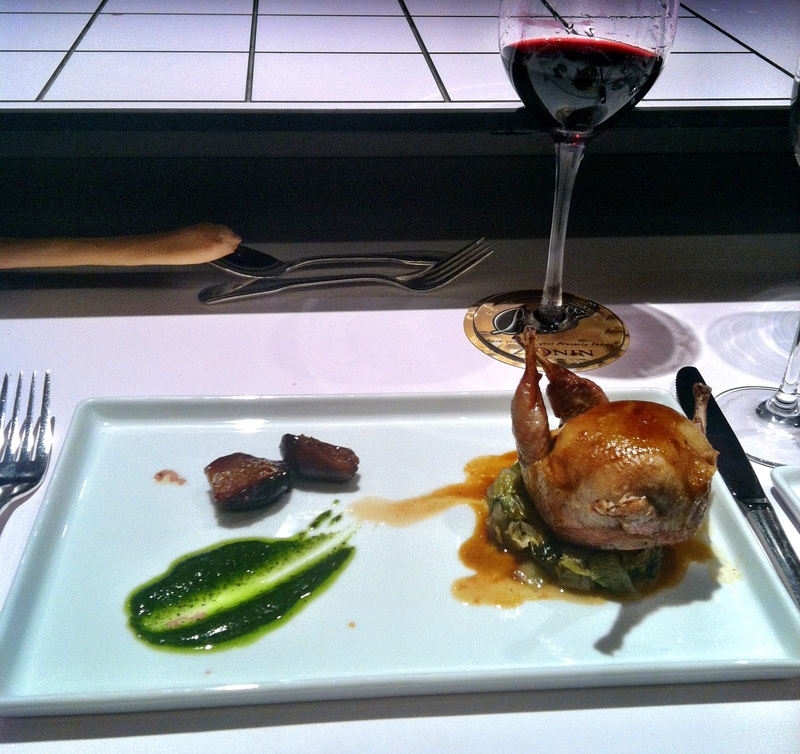 Restaurant participants in NYC have included Le Cirque, SD26, and Aroma Kitchen & Wine Bar. Other partners include Delverde Pasta, a company that makes insanely tasty pappardelle and bucatini. 1) Prosecco is made a few times a year. Unlike most wines that are made and released annually, the grapes harvested for Zonin Prosecco are kept as a must and then put into stainless steel tanks to undergo fermentation in the Charmat method 2-3 times per year. This progressive and ongoing release is done in an effort to maintain the freshness of the wine. Does anyone know if this is common with other Prosecco producers? 2) Refosco is great! So, I tried Refosco for the first time. Did everyone else already know about it? And just not tell me? Since tasting, I keep seeing Refosco pop up in wine coverage, especially about the one produced at Napa’s Matthiasson. Anyway, when the wine was first poured in our glasses, my friend, Seema, and I were trying to place it. She guessed Sangiovese. I got more plummy, rich fruits and guessed a Sangiovese + Merlot. Humbled and way wrong. The wine was the Refosco dal Peduncolo Rosso 2011 by Tenuta Ca’Bolani from the Friuli region. It was a rich violet ruby color with overwhelming notes of wild berries, sweet spices, and black stone fruit. I’ll continue seeking this varietal out. 3) Inzolia exists. 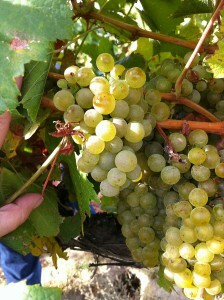 There are so many white grapes from Italy. Profound thought of the day. Inzolia is from Sicily, but I didn’t get the fresh minerality I often get from other Sicilian wines. Perhaps it was masked by the 3-4 months this wine had spent on the lees? The most prominent and interesting characteristics were tropical and citrusy, a blend of round & rich with tartness. Medium-low acidity. I thought this wine was OK, but with the breadth of Italian whites (yes, my profound thought of the day again), I’ll definitely keep exploring. For millennia, winemakers have been utilizing a unique system of maturation for Sherry, the famous fortified wine of the Jerez region of Spain. Called the solera system, the process involves removing wine for release from the last of a series of barrels that contains a blend of every vintage since the solera was started. The void in those barrels is then filled with wine from another series of barrels, and so on, until there is room in the youngest series of barrels. The wine from the most recent vintage is added to those barrels. The solera system in Sherry production. The solera system is a way of ensuring consistency — the wine that is finally taken out of the last series of barrels should be of the same style and quality every time. In addition, as new wine is added to the system, it takes on the characteristics of the older wine with which it becomes blended. Consequently, the world’s greatest Sherries are complex and high quality year after year. There’s another wine region in the world where the goal is consistently excellent wine with every release: Champagne. Can Champagne utilize the solera system for its non-vintage cuvées? It turns out that some producers do, in certain ways, but the practice is far from widespread. The perpetual blending system is a method of storing the reserve wines of a Champagne house in a single cuvée, usually only one large barrel or tank. After each harvest is complete, the wine is added to the blend, and every time the producer is ready to release a new batch of non-vintage Champagne, he removes what he needs. Over time, the cuvée becomes increasingly complex — the fresh wines of the latest vintage taking on the mature qualities of those that came before it. It would seem to make a ton of sense to utilize a perpetual blending system for non-vintage Champagne, but surprisingly few producers actually do so. Five years ago, noted Champagne writer Peter Liem asked why there aren’t more soleras in Champagne. Today, there aren’t many additional producers employing the process, so I set out to see if I could find some answers. Sardinia has piqued my interest as long as I can recall. It’s Italy, but different. Italian aside, the residents speak four distinct languages — influenced by Corsica in the north, and various Spanish dialects in the central and south. Culinary specialties include bottarga and lamb along with pristine Mediterranean seafood. And it looks like this, appealing to beach bums and rock climbers alike. Sardinia may also host my favorite episode of No Reservations. Oh, and there is wine. Some really, really good wine. 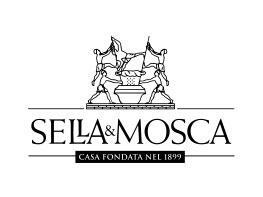 Along with too many Tre Bicchiere awards to list, one recent award for Sardinian standout Sella & Mosca stands above them all: The Gambero Rosso’s 2013 Winery of the Year. Sella & Mosca has been around for a while. Founded in 1899 by two serendipitous Piemontese businessmen, they helped to save the world’s wine industry. While the European wine countries were being devastated by phylloxera, Sella & Mosca used their sandy soils and geographic isolation to house a nursery for new rootstocks. Many of the new plantings made their way to the south of France, Bordeaux, Spain and Italy. Sella & Mosca’s flagship wine, Marchese di Villamarina, is 100% Cabernet Sauvignon. Knowing how the staunchly traditionalist mainland Italians felt about planting Cabernet Sauvignon, I figured there’s another Darmagi-like story here. Not so. Those vines in the nursery were largely Cabernet, so unlike the influx of international varietals in the latter 1900s in Piedmont and Tuscany, Cabernet has been a part of Sardinia for some time. The wine itself is tasty. At a recent tasting, I was impressed with the 2004, 2005, and 2006 vintages of Marchese di Villamarina. All sported a concentrated dark color in their cores, a heft of savory herbs, and a mix of ripe and dried fruits, tart and sweet. They each seemed to have aged evenly, with perhaps five more years to go. A great pairing for a roasted Sardinian wild boar. My favorite red of the tasting was the Terre Rare Carignano de Sulcis. From an appellation in Sardinia’s southwestern corner comes a varietal wine with a rusty, iron minerality coupled with dark fruits like plums, blackberries and prunes. The weight of the fruit was counteracted nicely by the minerality and a refreshing bright acidity. With a $15 SRP, it’s certainly worth seeking out. The wine of the day, however, was a Sella & Mocsa exclusive. Terre Bianche is the only 100% Torbato in the world. Named after the white, chalky earth the grapes thrives on at the Sella & Mosca estate in Alghero this wine was unlike many I have ever tasted. The nose was bright and intense with citrusy notes of key lime, tangerine and tropical pineapple. Where this wine really shines is on the palate. 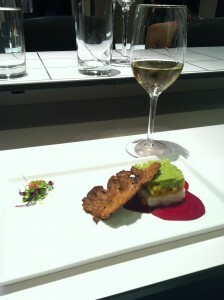 The texture of the wine was waxy and broad with a slight grainy aspect. 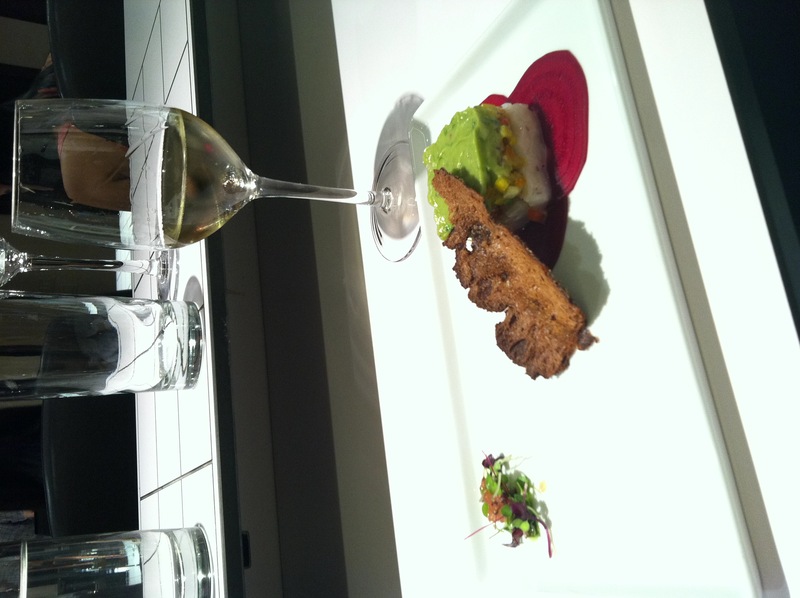 I don’t know if that had to do with Torbato’s fibrous nature but it yielded a texture reminiscent of Aussie Semillon. This wine could match any simply prepared seafood right out of the Sardinian waters (topped with bottarga please). Sardinia is known to have one of the highest life-expectancies in the world. The locals cite their fresh cuisine, great weather, and stress-free lifestyle for this feat. Sounds like a place you might not leave once you get there. For me, Syrah is one of those grapes that I love in all its shapes and forms. But it’s the rustic and searching wines of Cornas that routinely put a smile on my face, primarily because so many demand contemplation. The wines certainly aren’t for everyone. While powerful and masculine, they rarely offer rich, ripe fruit. Instead, they present raw, oftentimes rough notes of blood, meat, and pepper — backed by fruit that’s more savory than rich. I often say the wines of Cornas are gentle giants — as they’re powerful, but can offer a tremendous amount of elegance, especially as they age. These qualities no doubt come from Cornas’ unique terroir. The AOC itself is very tiny. 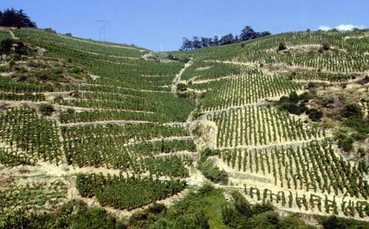 In fact, it’s one of the smallest appellations in the Rhone Valley — the vineyards cover just 225 acres. To put that in perspective, Lafite Rothschild has 277 acres under vine, simply for its Grand Vin! 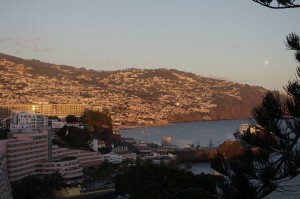 The region is incredibly rugged, with steep hills that make growing extremely difficult. The vineyards are narrowly cut into the hills – mainly facing south and southeast — and form what the locals call “chaillées.” The hills protect the vineyards from the Rhone’s famous Mistral wind. This protection allows the region to have a more stable temperature, allowing it to be one of the first appellations harvested. The soil varies significantly from one plot to another, but all sit on granite subsoil. In the north, many vineyards feature chalky soils, marked by sand and rocks. In the south, the soil is mostly clay. Producers like Thierry Allemand, Eric and Joel Durand, and Domaine Courbis produce single vineyard wines where you can see the differences in the varied soils of Cornas. 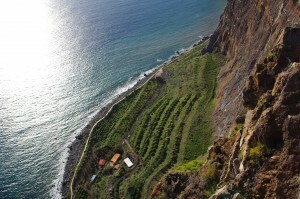 Winegrowing has an ancient tradition in the region. Wine has likely been made in the region since Roman times, with the first written record dating back to 885 AD. Legend has it that Charlemagne was a huge fan of the wines, and often had them shipped to his residence in Aix-la-Chapelle. He was just one of several famous French lovers of Cornas. In the Celtic language, Cornas means “burnt land” – perhaps a reference to the notes of charcoal and smoke one can find in the wine. Cornas became an official appellation in 1938. For me, the wines of Cornas are always a real treat. While I’ve mostly sampled young bottlings, they reward real aging – the ones I’ve had with more than 10 years of age really show their stuff. 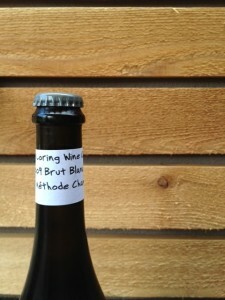 What would cause a winemaker who grows or vinifies Pinot Noir all of sudden to try his hand at making sparkling wine? It certainly wouldn’t be profit, as the high cost of production and low margins would scare even the most bullish of vintner-entrepreneurs away. And it’s probably not demand, as sparkling wine consumption, although on the rise, still represents only about 5% of all the wine drunk here in the States. Perhaps the reason is simple pleasure. “We decided to try our hand at sparkling wine because both my sister and I are huge fans of Champagne,” explains Brian Loring, of Loring Wine Company in the Sta. Rita Hills. Loring, who calls Pinot Noir his “obsession,” produces around a dozen different Pinots, predominantly from single vineyard sources, along with some Chardonnay and a Spanish-inspired red blend. Starting in 2009, he started experimenting with sparklers, bottling a Blanc de Blancs and a Rosé. That’s not to say that some haven’t tried, and succeeded, in growing grapes in California worthy of world-class sparkling wine. Barolo has long been described as “the wine of kings, the king of wines.” And together with its neighbor, Barbaresco, it takes most of the Nebbiolo spotlight. It is for good reason that the two regions do so well, but they aren’t the only regions in Piedmont that successfully grow this wonderful and noble grape. 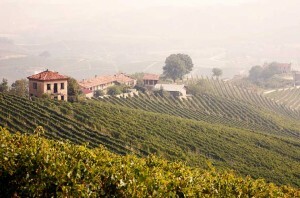 To the northeast of Turin is a region that was once regarded as the premier Italian appellation for Nebbiolo: Gattinara. Nebbiolo is never a cheap variety, but you can find many quality examples from Gattinara at affordable prices, in the $30-50 range. Wines from Gattinara tend to present a cooler and somewhat whimsical expression of Nebbiolo. While wines from Gattinara may not bring the power and regal nature of Barolo — nor the charms of Barbaresco — they’re often a bit prettier and more refined. This isn’t to say that they don’t bring real structure — even though producers in Gattinara can add up to 10 percent of Bonarda to their wine, Gattinaras can bring serious acidity and tannin. Although wines from Gattinara generally express themselves as cooler than Barolos, the region actually sees higher highs — and lower lows. The larger temperature range during growing season provides more acidity to the wines. Gattinara’s soil is also different. While Barolo and Barbaresco are situated over calcium-based Marl deposits, Gattinara is primarily volcanic rock. This is yet another reason why the wines are somewhat lighter and more feminine than Barolo and Barbaresco. This is what makes them very attractive for me. Wines from Gattinara do a great job of showing the characteristics that make Nebbiolo so wonderful. While these wines don’t hit the heights of Barolo and Barbaresco, they were once the crowning jewel of Piedmont — and remain lovely expressions of Nebbiolo. 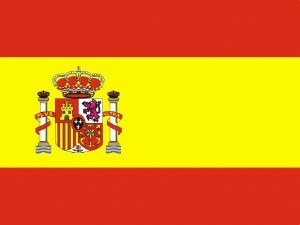 Dare I refer to Spain as an up-and-coming wine region? Spain has been around for a long, long time. It is believed that wines have been cultivated on now-Spanish lands for nearly 6,000 years. The Spanish wine industry is solid and well-established, no question. But today, most people associate Spain with its fruity, easy-drinking, cheap wines. Believe it or not, Spain puts some serious stuff put into bottles — and the potential of the nation’s wine industry is still enormous. The evolution of Spanish wine has certainly hit some snags since the ancient vines of 4000 BC. The Phoenician settling of Cádiz in 1100 BC was the first international boon, legitimizing Spanish wine as a viable export asset. During Spain’s time as a Carthaginian state, the wine industry grew, thanks in part to the writing of their own Mago, who penned a 28 book-long agricultural manual. Following the Punic Wars, where Rome successfully conquered the Carthage empire, Spanish wine was traded throughout the new Mediterranean empire, with the wines from Tarragoña and Andalucía leading the way. Though quality was questionable, more Spanish wine was making its way to the rest of present-day Europe. In 700 BC, the Moors took power of Spain. As followers of Mohammed, the Moors’ theology forbade alcohol, so the industry paused.